This is a guest post by Michele Inman, currently our Legal Licensed Intern. We call ourselves a nation of animal lovers, yet when it comes to the animals who end up on our plates, our politicians and lawmakers hold little regard, much less respect, for the cows, pigs and chickens that provide sustenance for billions of people around the world. Except for California. 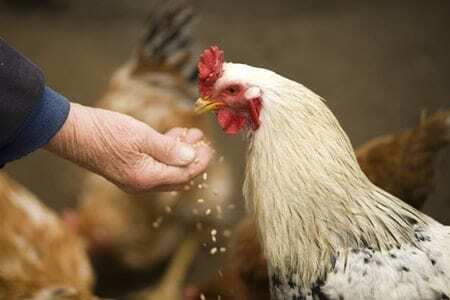 Recently, politicians have allowed the voters of California to have a voice in enacting legislation protecting farm animals. And the public has spoken loud and clear that they care about the farm animals’ quality of life. At least for chickens and pigs. Gestating pig crates are now mandated to allow a sow to turn around and chicken coops of laying hens are required to be larger than the previous industry standard of an 8 ½” X 11” sheet of paper. This size prevents hens from moving around adequately resulting in broken legs, feet injuries and ill health. Most notably, these animals, and all other factory farmed animals that represent 99.9% of what we eat, have miserable lives that in no way reflect their normal environments to allow them to express their natural behaviors. Chickens arguably have it the worst. Besides being confined their entire unnaturally short lives in cages not big enough to stand in, they are slaughtered at only five weeks of age (their normal life span is eight to 15 years) by being hung upside down with painful clamps on their feet on an assembly line with an automated razor that slits their throats before being dunked alive in scalding water to remove their feathers. Their overcrowded, noisy and smelly living conditions create a living hell, while their deaths uniquely torturous. Few members of our society today would agree that this is humane treatment of their pets including their birds, gerbils, hamsters and even their own backyard farm animals they view as pets, such as horses, chickens, and goats. I can’t imagine anyone envisoning the birds in their backyard undergoing this treatment, or even chickens on a traditional farm. In fact, every state has laws that prohibit cruel treatment to any animals by any one of us. Why then are practices like this allowed by law when they are performed by a corporation known as a farm or ranch that process animals for food? My guess is because politicians are pressured by agricultural lobbyists who wield much power because agriculture will always be a top GNP producer for our country. After all, people need to eat. Therefore, these types of regulations seem to be good for everyone because they help the animals be more comfortable, therefore healthier, and people feel better about the animal products they purchase believing that minimal suffering of the animals is involved. But, sadly, not everyone feels this way. In fact, no other state has taken these types of proactive steps to protect farm animals. Instead, some states, like Missouri, have virtually ensured that these types of regulations can never be enacted because farmers and ranchers have state constitutional rights to farm and ranch in any way they see fit. Which causes a big problem between California and other states due to something called the Commerce Clause in our US Constitution, which allows Congress to regulate interstate commerce and ensure interstate commerce is not impeded by state action. The doctrine of the dormant commerce clause comes into play when a state’s regulation actually discriminates against interstate commerce by either protecting its own in-state commerce or restricting the transfer of products or services across state lines. So far, these fights have been unsuccessful with a Federal District Court already ruling that there is no Constitutional violation by California law. The fight continues however. It’s clear when reading the arguments of these politicians against the California law that they not only lack respect for the animals that provide us with sustenance, but that they actually hold disdain for them. Oklahoma politicians exhort that California “Can’t tell us what to do with our chickens. Those chickens are ours. We can do with them as we please. You’re gonna be looking funny with all that egg on your face after we are through with you, Cal” notes an Oklahoma radio talk blog. I am an animal lover. Always have been. Always will be. I don’t eat them. However, even for those who do, people in general do not want animals to suffer. It’s only the corporations and politicians who profit from the slaughter that exhibit this careless attitude. But more discomforting to me is the disdain they hold for these animals. Forget about whether they love animals or not. That’s moot. But shouldn’t they be more respectful when those very animals are a huge part of what sustains us? By blaspheming chickens, they are disregarding a vital and important part of who we are because of what we eat. The public needs to get involved. Tell politicians how you feel. Whether you love animals or not, animal lives do matter. In fact, they’re vital. In more ways than one. Talk to your representatives. Let’s make a difference for everyone. At the time of this writing, Michele Inman is a student at Oklahoma City University School of Law, where she is articles editor of the OCU Law Review. She graduates in May 2018.